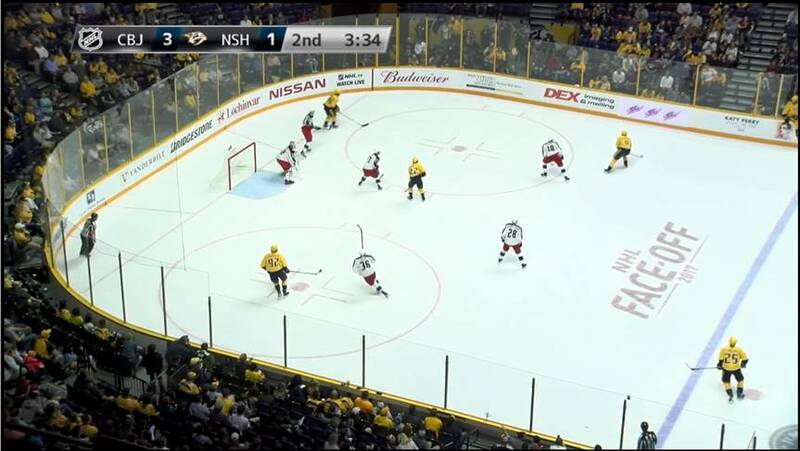 Caption: The Nashville Predators use the GY-HM200SP to produce video with a real-time score and clock overlay for coaches. 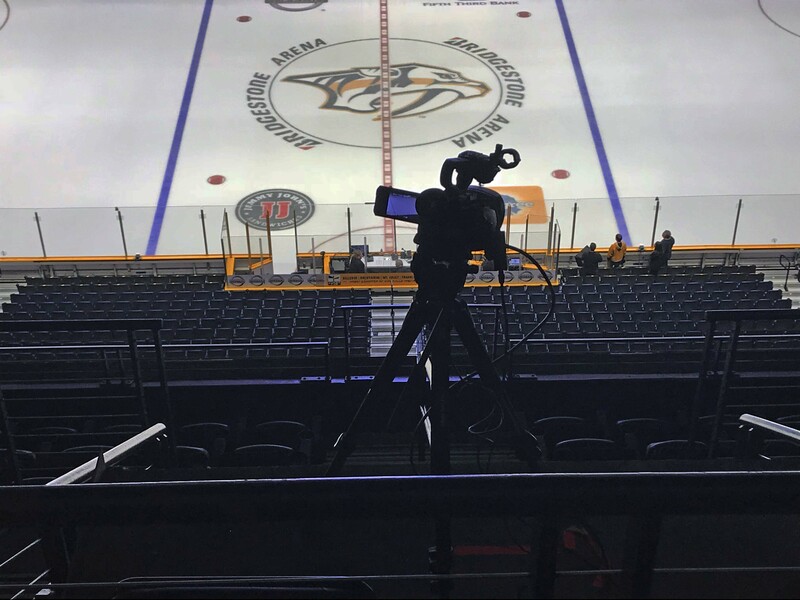 WAYNE, NJ (Nov. 1, 2017) – JVC Professional Video, a division of JVCKENWOOD USA Corporation, today announced the NHL’s Nashville Predators are using a new JVC GY-HM200SP 4KCAM sports production camcorder to record video of home games for coaches. Designed for single-camera sports coverage, the GY-HM200SP produces a real-time score overlay on recorded or streamed video output without the use of an external CG or production switcher. The camcorder connects wirelessly with the Sportzcast Scorebot4100 scoreboard interface unit, which was integrated with the scoreboard at the Bridgestone Arena in Nashville, Tenn. The setup automatically transfers score and clock data to the camcorder in real time, so the camcorder operator does not need to manually input the information. “That integration’s been huge,” Feloney added. Users can customize score overlays with team logos and custom characters, as well as position score overlays in various screen positions. The Predators include their team logo as well as the league’s logo in their graphics, which are placed in the upper left corner. 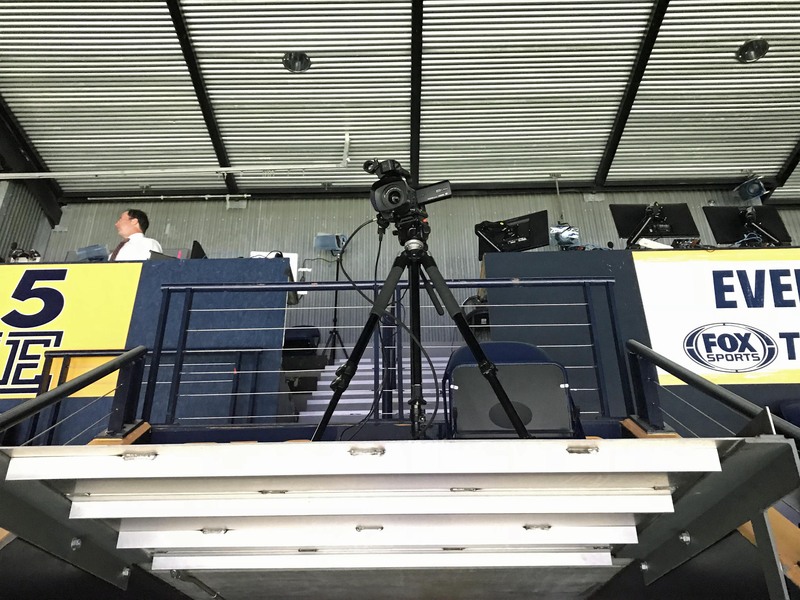 The camcorder is positioned with cameras from FOX Sports and other media outlets at center ice to provide coaches with a high, wide coverage of the game. Game footage is captured in real time in the control room using the camera’s HD-SDI output, but Feloney also records to the SDHC/SDXC media cards in the camcorder as a backup. The GY-HM200SP offers sport-specific scoring for football, basketball, baseball, soccer, and hockey. It can also store up to 50 full-screen .JPG or .PNG graphics in the camera, which allows users to create slideshows for use during extended breaks in the action. The camera also features a 1/2.3-inch BSI CMOS imager, integrated 12x zoom lens with optical image stabilizer, and 24x dynamic zoom in HD mode. It records footage in a variety of file formats, and its built-in HD streaming engine with Wi-Fi and 4G LTE connectivity provides live access to CDNs like JVC VIDEOCLOUD, Facebook Live, and YouTube.